Jesus patterned vibrant examples of relationships fundamental to boosting emotional and spiritual health. 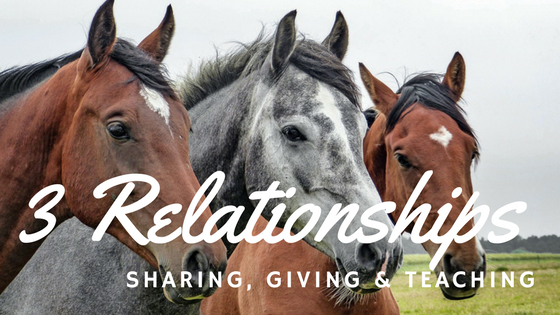 There are three relationships we all need and key reasons for each. We need the relationships of brother/sister, a child, and a father/mother – continually and simultaneously. The sibling relationship is “ friend for life“. These are those who “do life” with you. Teammates who stick by you in the best and the worst of times. They may not always like you, but they love you enough to never give up on you. Jesus chose to be known as Friend, walking shoulder to shoulder with those who were doing life with Him. I think that is incredible – beyond my comprehension. Ever notice how babies disrupt life? Children bring out the best and worst in us. We had five boys in just under 9 years. Life was always in flux, sleep lacking, and routine difficult to establish. Never a boring day! These boys had the uncanny ability to draw the deepest love and affection, attitudes of commitment, self-sacrifice, tenderness and compassion. They also exposed in me every weak and immature area I otherwise wouldn’t have been aware of. More than anything, they taught me the importance of persistent prayer. With children comes a deep sense of responsibility. They teach us much about the loving heart of Father God. I’m not saying children are our enemies, however these phrases certainly apply to raising children. As a natural or spiritual parent there is a lot of doing good and giving without expecting in return. The young at times can be unthankful and even wicked. Reward is in the future; sacrificial giving marks the daily attitude of caring for the young. We learn this quality of parenting from Father God Himself, as we imitate His heart. Jesus purposefully chose twelve disciples (children) to walk with him day and night. Of all relationships, I have found this the most difficult to cultivate in my life. The relationship of a father/mother in the faith is a mentor. Just as we need a child young in the faith to help along the way, we also need someone who is over us. We give a mentor both permission and authority of accountability in this relationship. The young always think they are ready to tackle the world; a mentor knows when they are really ready. A mentor also is vulnerable enough to pattern life for us through their own personal successes and failures. In strength and wisdom they position themselves with us in our own personal battles. This relationship will propel you the farthest, enabling you to fulfill your highest calling. and someone to submit to and follow after.